Increase your profits with effective Google AdWords management! If you’re not already familiar with it, Google AdWords or commonly referred to as pay per click (PPC) or paid search is an online advertising system that places advertising with relevant search results. AdWords is a flexible & highly targeted advertising service as it gives you full control over your marketing messages. You can control who sees your ads, where they are displayed and what day and times of the day. You are always in control of your budget & pay only when your ad is clicked, so you only pay for the actual customers you reach. AdWords can be used to run highly effective, targeted ad campaigns. You can use it for product launches, stocktake sales & special offers. Google Adwords can be very effective for seasonal products or holiday promotions. When properly managed, AdWords is a powerful tool for any brand or business with an online presence. AdWords offers instant results, with increased online exposure and branding, resulting in more traffic & more potential sales. We provide effective Adwords management services in Perth that help your business rank at the top of Google’s search results instantly! Google AdWords incredible tools at your disposal. 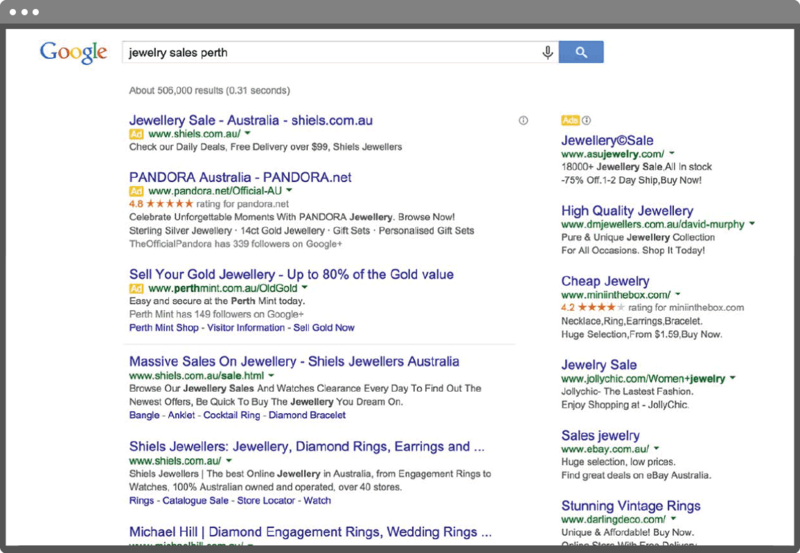 Remarketing lets you show you ads on other websites to people who have visited your website. Banner ads that can be placed on thousands of websites, perfect for building brand awareness. Text ads placed alongside relevant search results, based on specific key words and phrases, offering a high conversion rate. Ever wondered why you see that same ad across many websites? That’s Remarketing in action! Remarketing allows your ads to show up on other sites for a specified period of time after someone visits your website. It is one of the best and most economical ways to drive interested prospects back to your website. It drives them to your website after they have already shopped around, when they are ready to make a buying decision. And it also helps with branding because your ads are showing up everywhere they go. Remarketing is an extremely effective way to improve conversion rates, increase repeat visitors and increase engagement on your site. Effective Google AdWords management offers many potential benefits to businesses that utilise it. Work with me to set up and optimise your AdWords account so you can reap the rewards of more business and higher profits. Just contact me or fill in the form below to get started!